Save time with the TOP 10. Save your holiday on Mallorca! You’re not the only one who’s trying to find the missing spots to experience the ultimate holiday of your life. Don’t worry, help is at hand! As you clicked on the link to the Mallorca TOP 10. 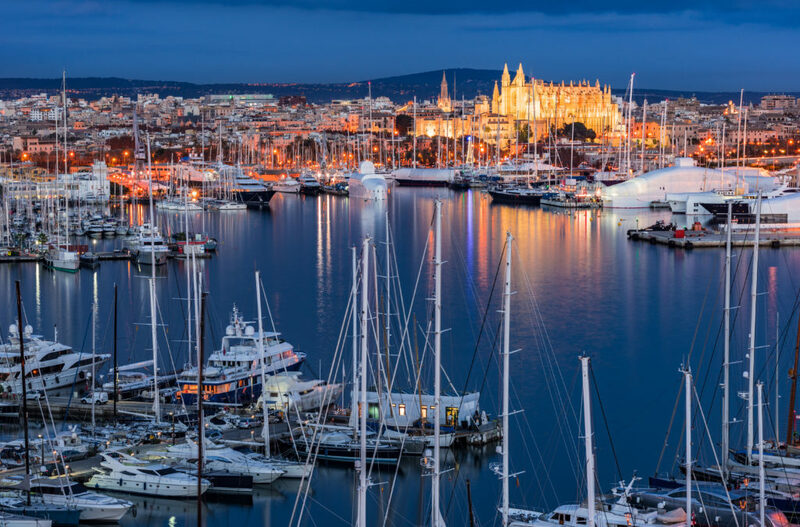 With this TOP 10 you’ll get directly an idea what kind of marvellous stay you’ll have in Mallorca! And, when you’ve found out what you can do during your holiday in Mallorca, it’s time to search for a place to stay. Directly on our website you can take a look at the large selection of villas and holiday homes in Mallorca! You’ve got it all within hand reach on one website. Have some pre-holiday joy and start with the TOP 10 of Mallorca. Wouldn’t it be wonderful to be in a quiet andpeaceful place in Palma de Mallorca on a summer’s day? Feel the fresh breeze around you while enjoying the fantastic views of the Mediterranean Sea, the impressive cliffs with their beautiful rock formations dropping away below you, and at your back the relaxing scent of the pine-covered wooded hills. These are special moments which will remain with you forever. 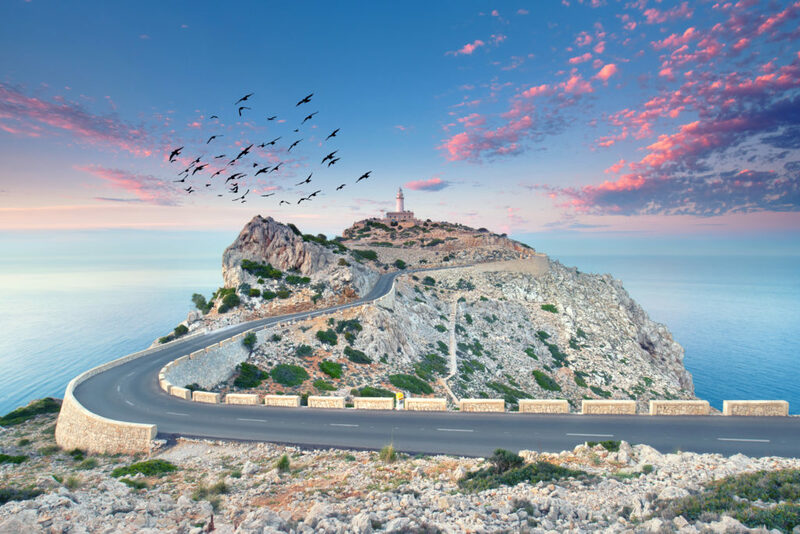 You cannot afford to miss the “Mirador de es Colomer”, the most famous viewpoint on the coast of Mallorca. Situated on the north of the island, 10 kms from the harbour of Pollença; this “mirador” offers a spectacular view of Cap Formentor and of the north coast of the island. We recommend that you also visit other amazing viewpoints which will take your breath away, such as: “Mirador de Ses Animes”, “Mirador de Ses Basses”, “Mirador de Ses Puntos”, “Mirador de Ses Barques”, or “Talaia d’Albercutx”. 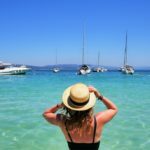 Here is something very interesting that you can do in Mallorca. 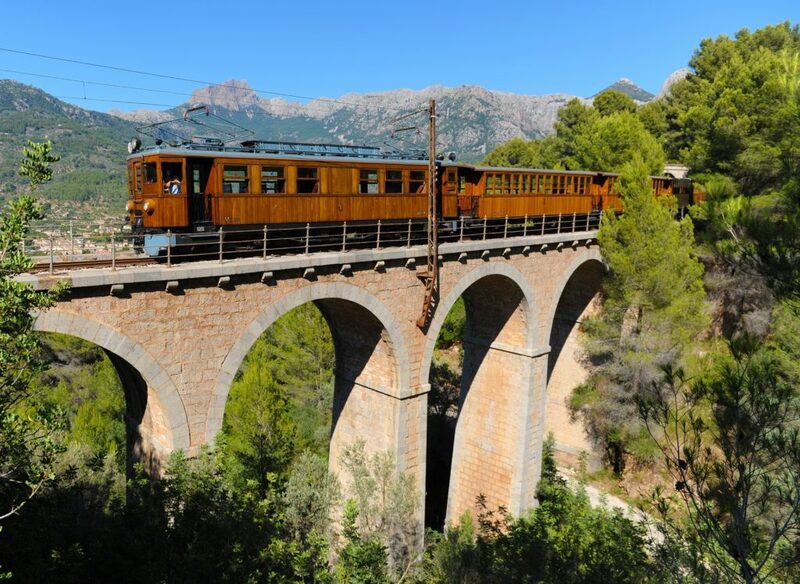 With the train of Sóller, you will enjoy the journey every bit as much as reaching your destination. The Sóller Railway has linked Mallorca and Sóller since 1912. It has kept its original characteristics. The impressive journey is 27.3kms long and is really worth the experience. You will be able to look out at a Mediterranean landscape made up of the mountain range of the “Sierra de Alfabia”, which is only visible from the train. During the course of the trip, the train passes through 13 tunnels in the “Sierra de Tramuntana” and it takes one hour to get to Sóller, a charming Mediterranean village with the cosmopolitan atmosphere of a commercial European port. Sóller will welcome you with its houses dating from the 16th and 18th centuries and, in addition, we strongly recommend a visit to the harbour. An unforgettable experience, travelling in a time machine that will take you on a leap into the past. 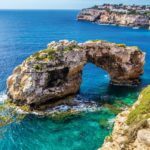 If you are spending your holiday in Mallorca, you must not miss the “Sexiest Place on Earth”, a very fashionable place where the jet set used to meet before they moved to other beach venues such as Marbella. It is a world-renowned experience that you should enjoy at least once in a lifetime. It is the perfect combination of private club with its own totally glamorous beach, luxury, good music, fashion, tasty cuisine and, of course, a lot of champagne. This exclusive place is waiting for you with its beautiful sun-loungers, excellent service on the beach and the best DJ’s in the world, who make this place a true paradise! Come and discover the wonderful underwater world of Mallorca! Scuba diving is a very popular activity among the residents of the island as well as the tourists who come to visit it. As well as all the natural treasures found on land, the underwater paradise of Mallorca is proof that the island is not just a place to party or to relax with the family. Scuba divers know that, beneath the magnificent crystal waters, they will be able to enjoy coral, marine animals and all kinds of fish. The island of Mallorca offers a lot of possibilities to practise free-diving (diving without breathing apparatus), for beginners as well as for the most experienced divers. Dives are available at all levels, either from the shore or from a boat. There is plenty of choice of dive centres all along the coast. 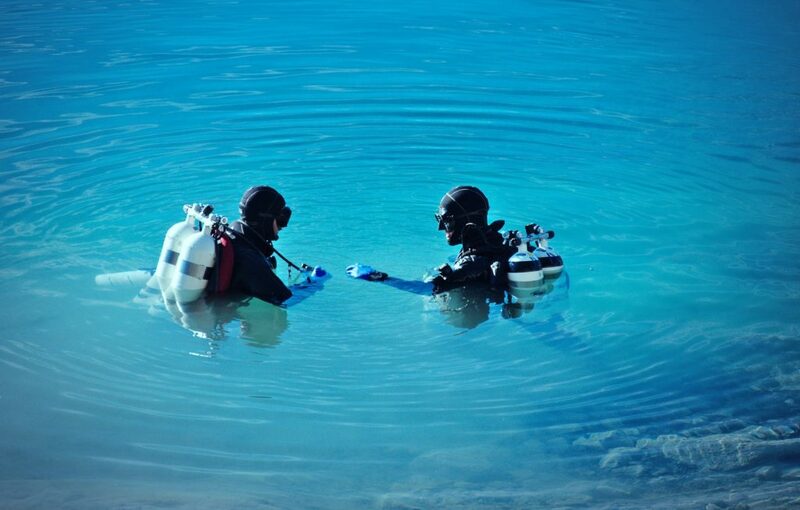 If you have never dived, now is the time to do so! We invite you attend an impressive hydrological phenomenon! 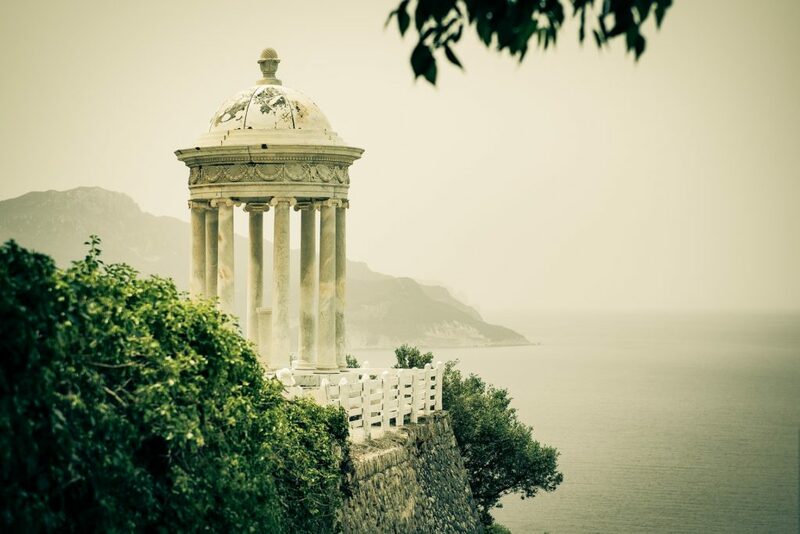 At the foot of the “Tramuntana”, it is said that the forest “Finca de Gabilli” rises up from a mysterious mist. Every year, as if by magic, some very powerful springs well up. They are known as “Ses Fonts Ufanes”. To give you an idea of this spectacular phenomenon, the quantity of water can sometimes exceed 100,000 litres per second. This water partially feeds the water supplies of Pla de Sa Pobla and of Albufera d’Alcúdia. Every year this phenomenon attracts a huge number of visitors, who come as a form of pilgrimage or on popular excursions. In 2001, these springs were declared a National Monument, the first on the Balearic Islands. The magical world of nature is unique, so put on your walking shoes and enjoy a superb stroll. Prepare yourself for something special! 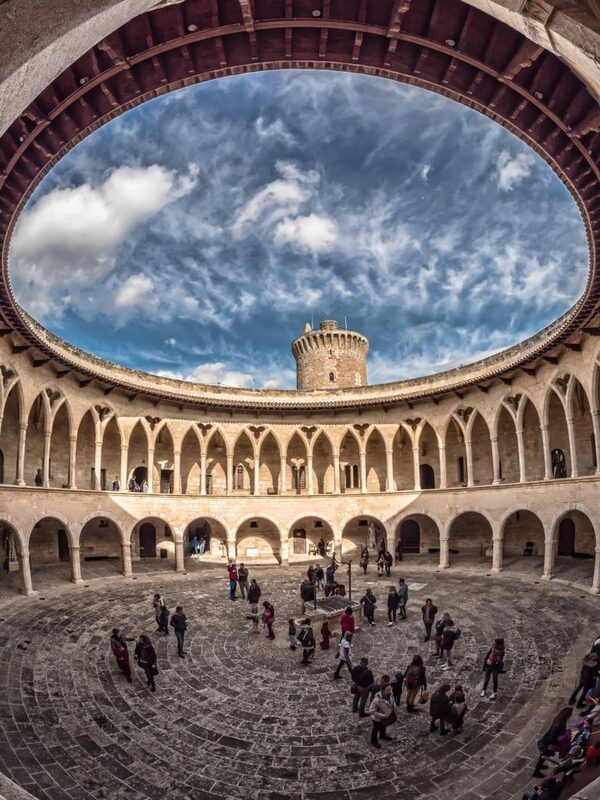 The Castle of Bellver (Beautiful View) is the only Spanish castle built in a circular shape and one of only a few throughout Europe. It was built between the years 1300 and 1310, and it was the usual residence of the kings of the island. 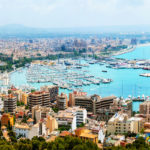 It lies 3 kms from the historical centre of Palma (Cala Major side), on a pine-covered hill in the forest of Bellver. This Mediterranean Gothic castle stands proudly on the top of the hill and offers some delightful views. Thanks to its favourable position, it is no surprise that the Castle of Bellver once served as a military prison, although nowadays it is under civilian control. Currently it is the provincial archaeological museum, housing paintings and coins, pieces from the archaeological digs and from the municipal collection. Are you looking for somewhere quiet and romantic? Then Porto Cristo is the place for you! 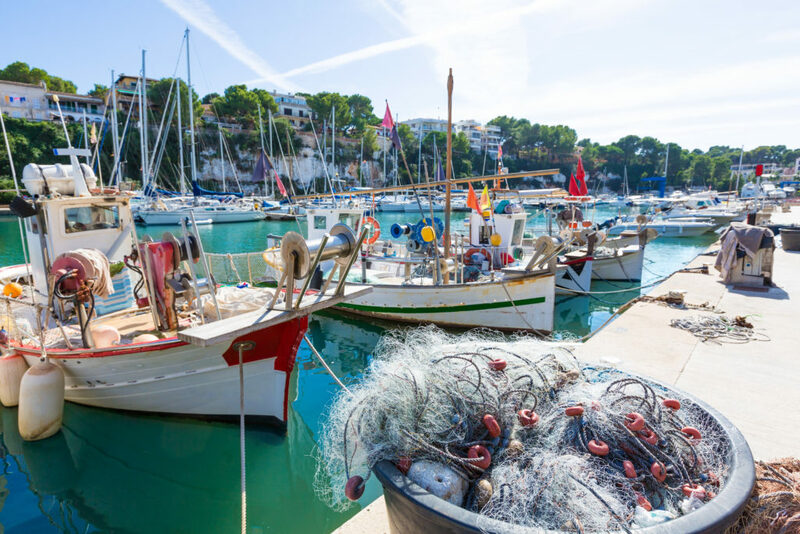 This small, charming Mallorcan village is a place where peace and tranquillity prevail, and where you will be able to take in some breath-taking views. It has a fair sized marina and a nice beach where you can swim and relax. 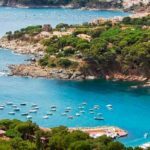 Situated between the Costa de los Pinos and Cala Murada, it opens onto a small bay which seems almost enclosed on the right hand side by a rock which is called “Es Morro de Sa Carabassa”. Also, it is a strategic place along the tourist route on the island, because the village is very close to the “Cuevas del Drach” and the “Cuevas de Hams” (caves), and to the underground lake, “Lago de Martel”. You can spend a lovely time in this charming village, where there are no large crowds of tourists, and where you will have easy access to the beach and the other tourist sites. Discover all the important monuments of Spain all together in the same village! It might seem strange, but this does exist in the “Poble Espanyol” of Mallorca. 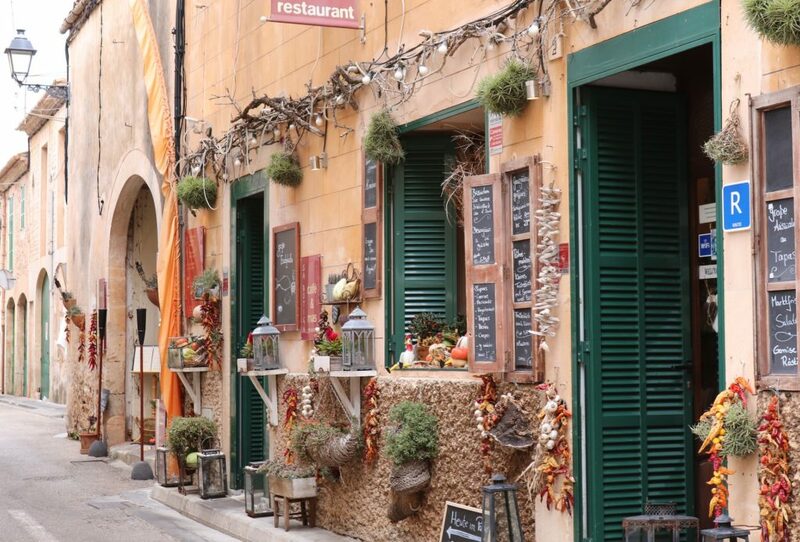 This village is a “must see” during your stay in Mallorca. The complex was built between 1965 and 1967, with the reconstruction of about 100 of the most famous monuments and buildings of Spain. 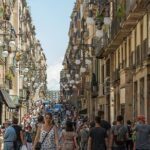 It is an excellent cultural journey through the whole of Spain without ever having to move from your holiday destination. The reproductions are completely true to the original buildings. We recommend that, above all, you visit the Hermitage of San Antonio, the Patio of Los Arrayanes of the Alhambra, and El Greco’s house in Toledo. We always recommend the very best places to visit in your holiday destination, and not least of these is this penultimate one. 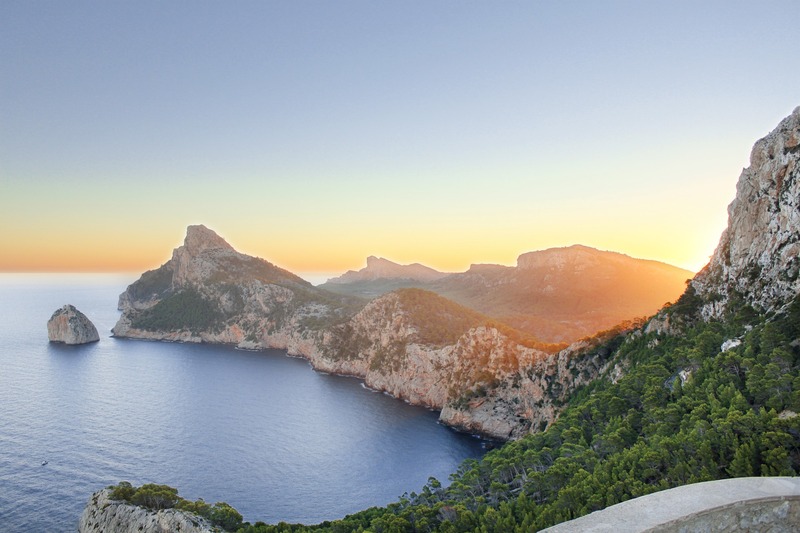 The “Cap de Formentor” is one of the treasures of Mallorca. North of the Bay of Pollança , like an extension of the Sierra de Tramuntana, lies this magnificent area, certainly the most photographed on the island of Mallorca. Formentor is made up of cliffs, more than 100 metres high, dropping down into the Mediterranean Sea and resulting in a unique impressive landscape, especially if you are lucky enough to be able to view them from a boat. This peninsula, which once belonged to the poet Llobera i Miguel, peaks at a height of 348 metres above sea level. Countless visitors come every year just to visit this magnificent natural spectacle, and away in the distance, if your eyesight is good enough, you may just be able to make out the island of Menorca. Return to the Stone Age! After in-depth study, these prehistoric animals are constructed life-sized and in perfect detail. 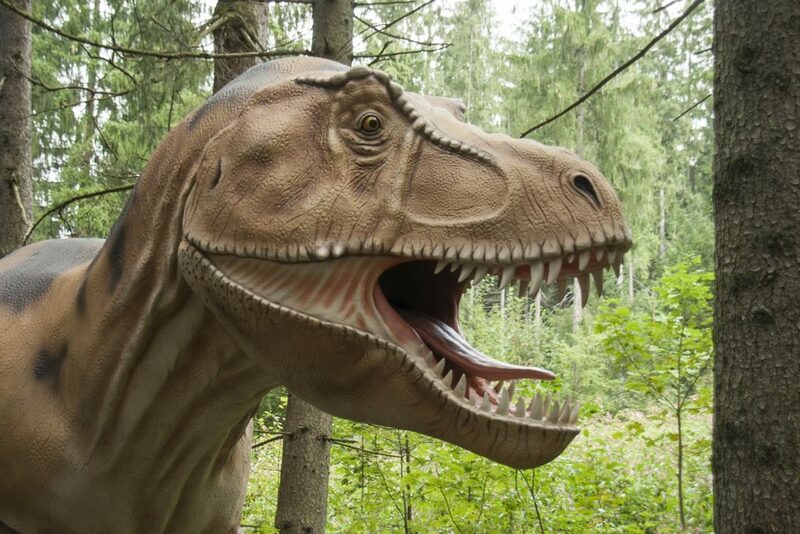 In Algaida (Mallorca), you will find “The Valley of the Dinosaurs”, a not very well known, but very impressive Dinosaur Park, with 21 life-sized, realistically crafted dinosaurs. Some of the dinosaurs that you can see there are: an Apatosaurus 30 metres long and 9 metres tall, a Tyrannosaurus Rex, a Parasaurolophus, two Stegosaurus, two Triceratops, a Carnotaurus and an Iguanodon, amongst others. Visitors can follow an organised route on foot to discover the different species. In addition to the dinosaurs, the park places great importance on ecologyand the environment, so you will find a large variety of flora and fauna. Passion for your beloved ones and yourself. Go on holiday to Mallorca like you deserve it! Take more out of your days off and go on holiday with your family and friends. On Mallorca there’s a lot to discover. Even when you don’t want to be too active (as it’s your holiday). Luckily Mallorca always has something in it for you. As a follow up to this TOP 10 there’s more for you to read about Mallorca. For others a dream, for you reality. Book your private villa with your own pool! Grab your opportunity to step out of your daily routine. A lot of people feel more relaxed when they spend their holiday in another environment instead of their own. Though, it’s great if your holiday stay feels pleasant and nice like home. In the large selection of holiday homes in all price ranges that TOP 10s of Spanish villages, costas & islands.